I love making simple dress up props for my girls! It really helps their imaginations take off! 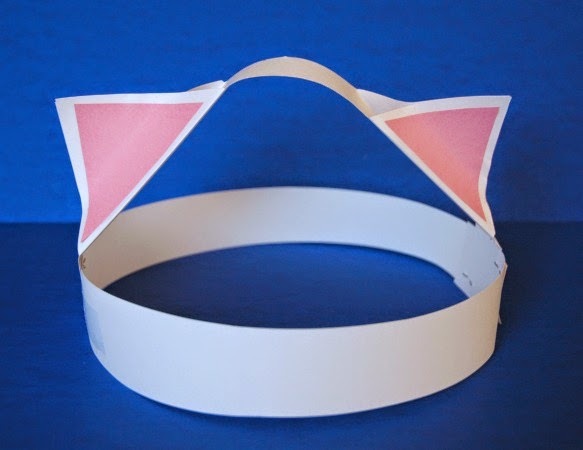 For our cats and dogs theme preschool week, I decided to make a variation of my paper dinosaur hat. 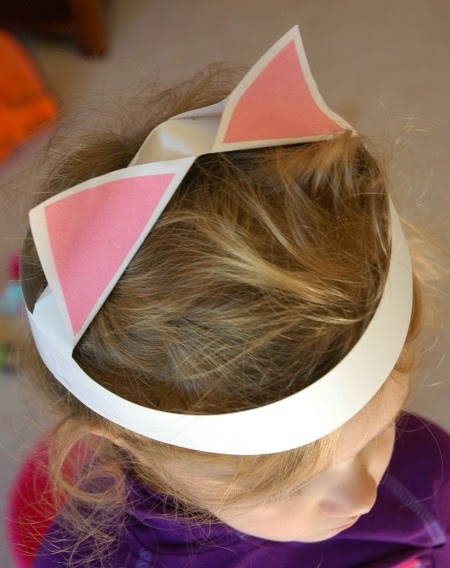 I happen to think that these kitty cat ears are just as cute, quite a bit sweeter, and much less stompy! 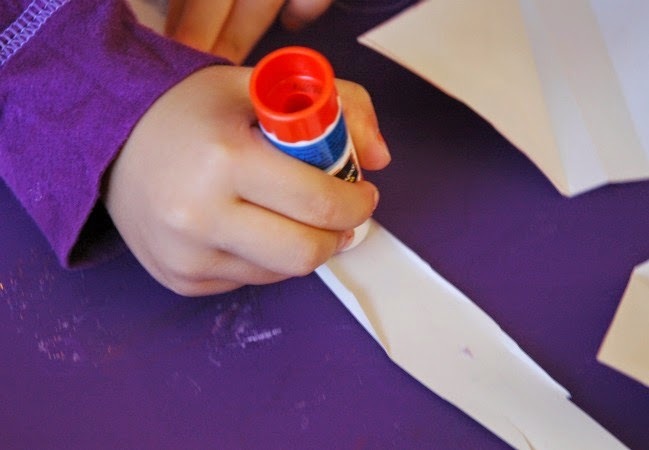 You'll need 1 sheet of white construction paper, small scraps of pink construction paper, scissors, a glue stick, and Scotch tape or a stapler. Start with your white paper. Cut 3 strips, about 1" wide, along the long edge. Two of these strips will make the headband, and the remaining one will make the cross piece to which you will attach your ears. 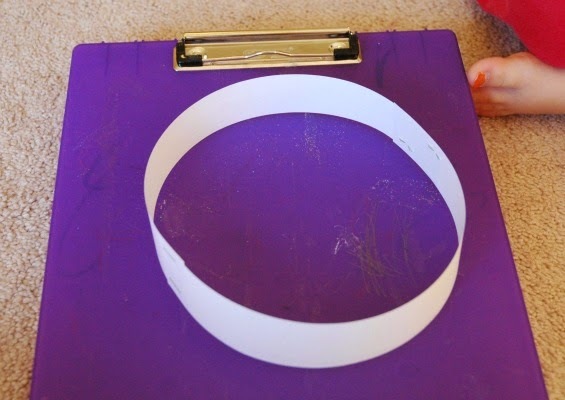 Tape or staple 2 of the strips into a circle that will fit snugly around your child's head. 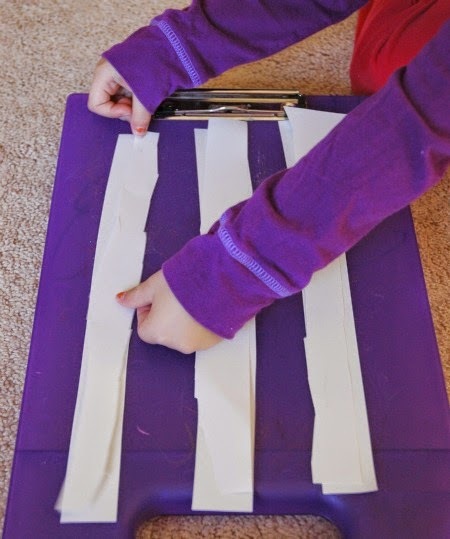 Cut your remaining white paper into four wide strips. 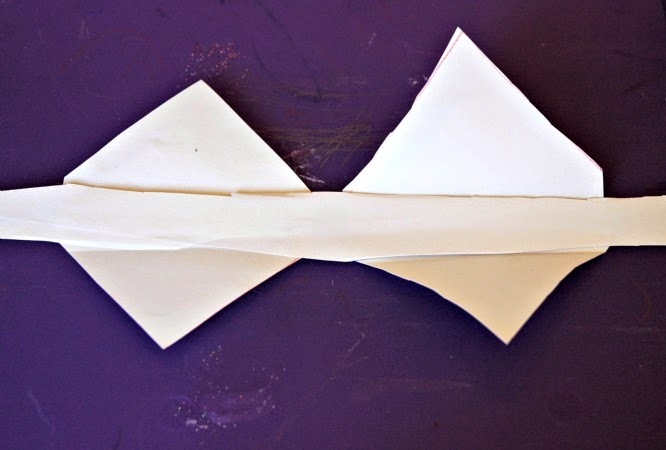 You only need 2 of these pieces to make the ears, but cutting one piece of paper it into fourths gives you the right size. Fold each of your ear pieces in half. You'll want to cut these to be like a diamond, but with a 'flat' area in the middle. 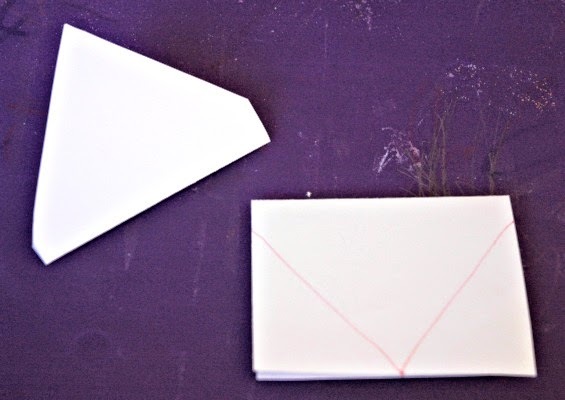 So, the point of your spike is on the 'open' edge of your folded piece of paper, and you'll cut diagonally down to about 1/2" above the folded edge. Cut out your ears. Next you'll make the little pink insides of the ears. 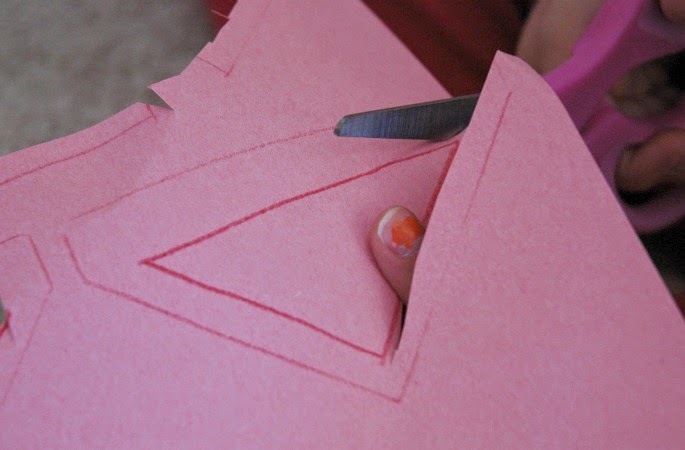 Trace the folded ear shapes, and draw triangles about 1/2" to the inside. Cut them out and glue them to the white ear pieces. Take your remaining long piece of paper that you cut-- the cross piece. Glue the ears to it, pink side up. 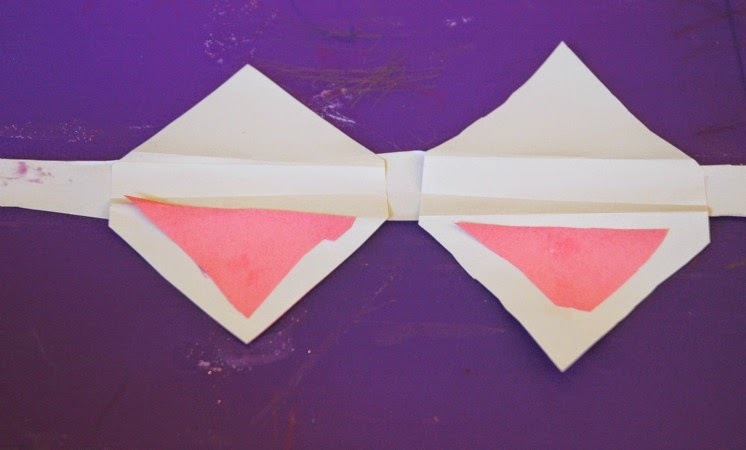 Turn the cross piece over and make nice creases along the 'flat' area of the diamonds that you cut, as you fold the points of the ears up towards each other . Glue the sides of the ear together and secure with a paper clip while it dries. Try to make them stand up as straight as possible. 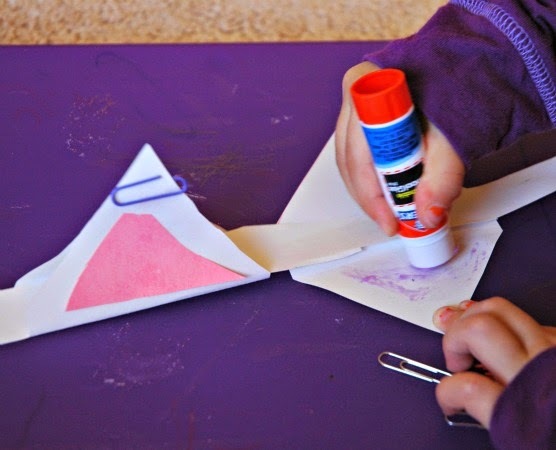 Once the glue has dried, staple or tape the cross piece to the headband, adjusting as needed to fit your child's head. You can even cut the cross piece in between the ears and tape it back together to adjust where the ears should sit on your child's head. All done! Lena declared herself Queen Kitty and had a fantastic time using her imagination! 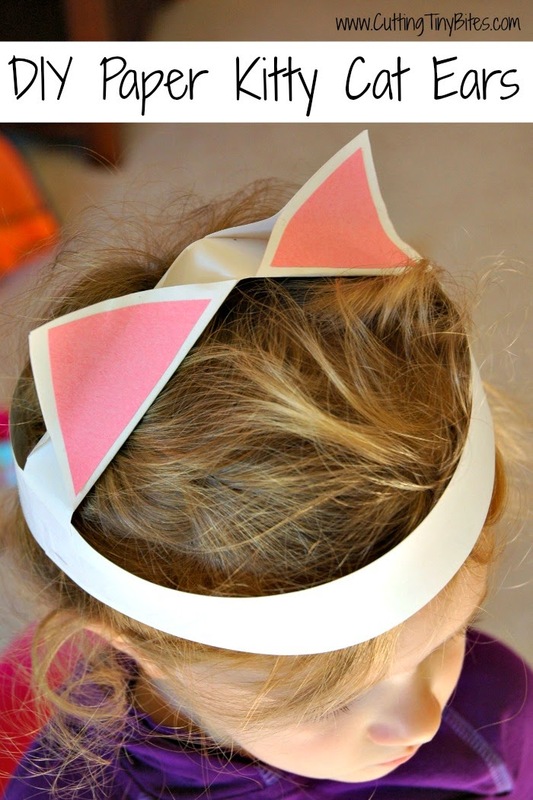 DIY Paper Kitty Cat Ears- Fun paper craft for kids. 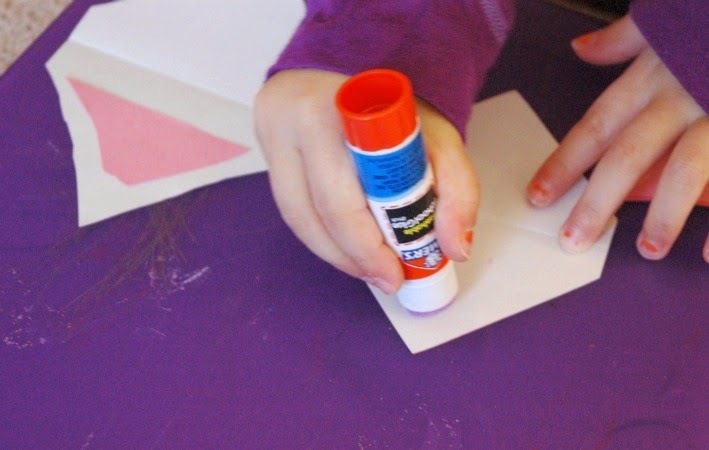 Simple and cute prop for preschool, kindergarten, or elementary dramatic play.